Due to the inherently dangerous nature of auto racing, many individuals, including drivers, crew members, officials and spectators, have been killed in crashes related to the sport, in races, in qualifying, in practice or in private testing sessions. Deaths among racers and spectators were numerous in the early years of racing. However advances in safety technology, and specifications designed by sanctioning bodies to limit speeds, have reduced deaths in recent years. Spectacular accidents have often spurred increased safety measures and even rules changes. The worst motorsports accident was Pierre Levegh s 1955 crash at Le Mansthat killed him and around 80 spectators with over 100 being injured. 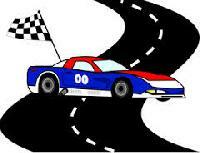 Contrary to what may be popularly assumed, racing drivers as a group do not have unusually good reflexes. During countless physiological evaluations of professional racing drivers, the two characteristics that stand out are racers near obsessive need to control their surroundings, and an unusual ability to process fast moving information (physiological). In this, researchers have noted a strong correlation between racers psychological profiles and those of fighter pilots. In tests comparing racers to members of the general public, the greater the complexity of the information processing matrix, the greater the speed gap between racers and the public. Due partly to the performance capabilities of modern racing cars, racing drivers require a high level of fitness, focus and the ability to concentrate at high levels for long periods in an inherently difficult environment.